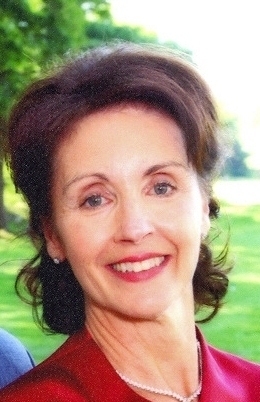 Beverly Tignor, Ph.D., A.B.P.P. is a Diplomate in Clinical Psychology, American Board of Professional Psychology. She earned her doctorate from the New School for Social Research in New York City, and completed a two-year postdoctoral program in neuropsychology through the Fielding Institute. She has a subspecialty in pediatric neuropsychology, a discipline concerned with how learning and behavior are related to the structure and functioning of a child's brain. Dr. Tignor also works with teen and adult clients suffering from Post-Concussion Syndrome and Traumatic Brain Injury. A neuropsychologist is a licensed psychologist with special training and expertise in brain/behavior relationships, including the normal and abnormal development of brain structures and systems. Dr. Tignor has more than 25 years of experience working with children and teens with a wide range of emotional and developmental issues, and with their families. In addition to her private practice, Dr. Tignor provides supervision and consultation services to other psychologists and physicians both locally and internationally. In 2010, she traveled to Nairobi, Kenya where she evaluated all of the children in a local orphanage and completed work on a cross-cultural study on resilience, Resilience in Kenyan Youth Living in the Slums and Suburbs of Nairobi: an Exploratory and Descriptive Study, written with Sandra Prince-Embury and published in Resilience in Children, Adolescents and Adults, Translating Research into Practice (Springer, 2013). Dr. Tignor is certified as a school psychologist and is often invited to assist families and school districts in the child evaluation process to provide appropriate accommodations for more effective educational planning. Invested in the welfare of special needs children and teens in the local communities, she has been invited to give workshops for teachers and presentations to parent groups. Her book, Attention Games for the Classroom (Childwork/Childsplay, 2007), used by parents and teachers in the general classroom setting, resulted from a teacher training workshop given in the Somerset Hills School District. Dr. Tignor is the founder of the Morris County Psychological Association, an affiliate of the New Jersey Psychological Association. Dr. Tignor's subspecialty in neuropsychology also includes BCIA certification and special training in the use of EEG biofeedback, referred to as neurofeedback. EEG biofeedback meets the American Academy of Child and Adolescent Psychiatry clinical guidelines as an evidence-based intervention for the treatment of ADHD and anxiety disorders. Dr.Tignor has extensive experience in the use of QEEG and LORETA (low resolution electromagnetic brain tomography) analysis as an aid to differential diagnosis, and in the treatment of ADHD, high functioning autism, and anxiety related disorders.